Linked by name to the German concept, The Wurst opened on the first day of Festival International 2016 betting the outdoor space would be a hit. It was, and now the space is nearly always busy whenever it’s open. At night, the space is lit with inviting string lighting and passers-by can see their friends mingling within. The Wurst also acts as a live music venue with shows scheduled mostly on Friday and Saturday nights. Josh updates his customers of upcoming shows via Facebook and The Wurst’s website and has noticed The Wurst’s outdoor setting working to its advantage with live music as well. He says when people watch music inside, they may stand with their arms folded, but when they&apos;re outdoors, they’re more likely to dance. The establishment does not serve liquor but has curated beer and wine lists that are extensive and eclectic. The selections offered by The Wurst are particularly of interest to those who seek out craft beers, those made with choice ingredients and designed to be unique and flavorful rather than made in large volumes in breweries the size of large factories. Josh keeps customers updated on new offerings and says whenever he puts a new craft beer on tap, he knows he will see customers arrive just to try it. It’s also important to the concept to offer choices that guests can’t find elsewhere. Josh knows he’s in the highly competitive downtown market and says it’s important to try to be as different as he can. He describes doing his homework by scouring the information available about upcoming new offerings from craft breweries, both local and national so that he has a chance to be the first bar to offer new releases. He says being the first to try the freshly tapped brews he offers is like a badge of honor to some guests, and sometimes the fact that they are new is the only selling point he needs. He says customers are more likely to tell their friends about a new brew if they feel like they discovered it. The food offerings mesh with the outdoor seating concept as well as the German theme. Rip Raster, who garnered his cooking experiences in New York and Austin, heads the kitchen. He serves bratwurst and pommes frites in the simple traditional style but also offers an array of other fare. 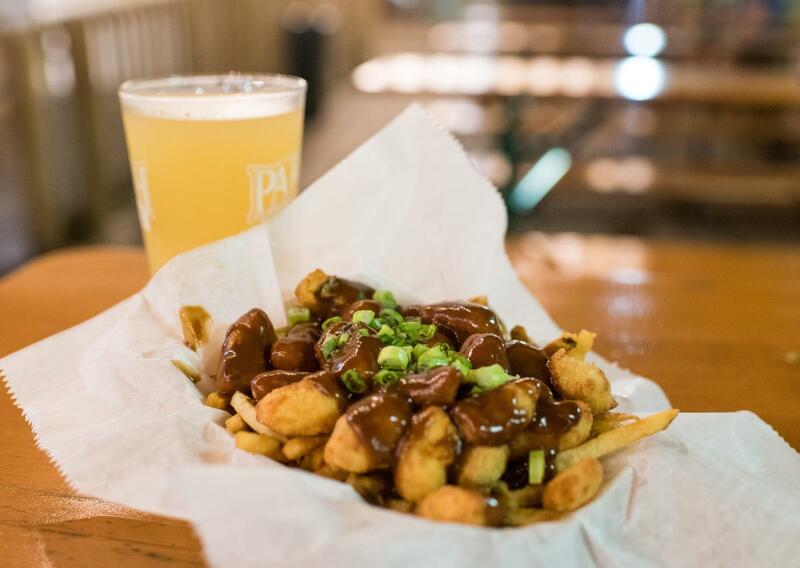 There’s a variety of poutine (fries with cheese curds and gravy) options including one with boudin. There is a chicken caesar wrap available in the classic style as well as a BBQ version. There&apos;s a pulled pork sandwich with pork gravy, the components of which can also be served atop the fries for yet another poutine offering. Most of the food is simple, delicious, and shareable, perfectly at home outdoors on a German-style picnic table. 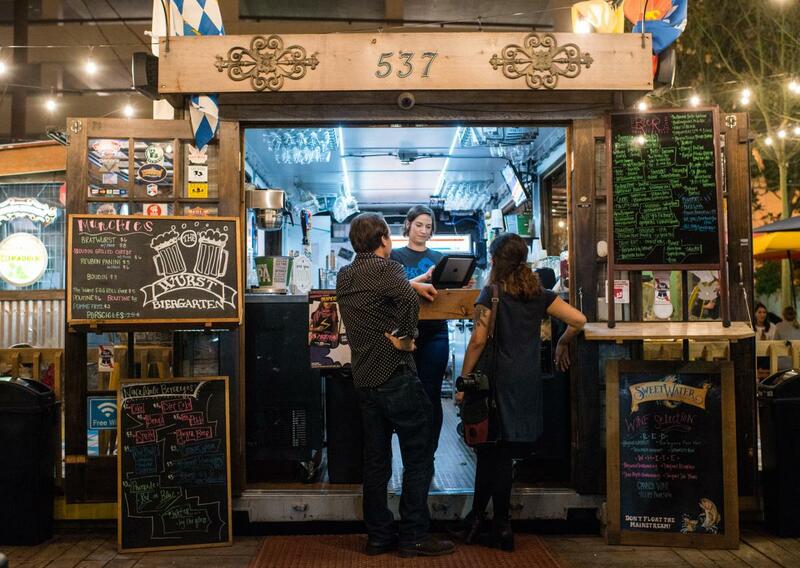 The Wurst prides itself on being open and friendly to all customers. 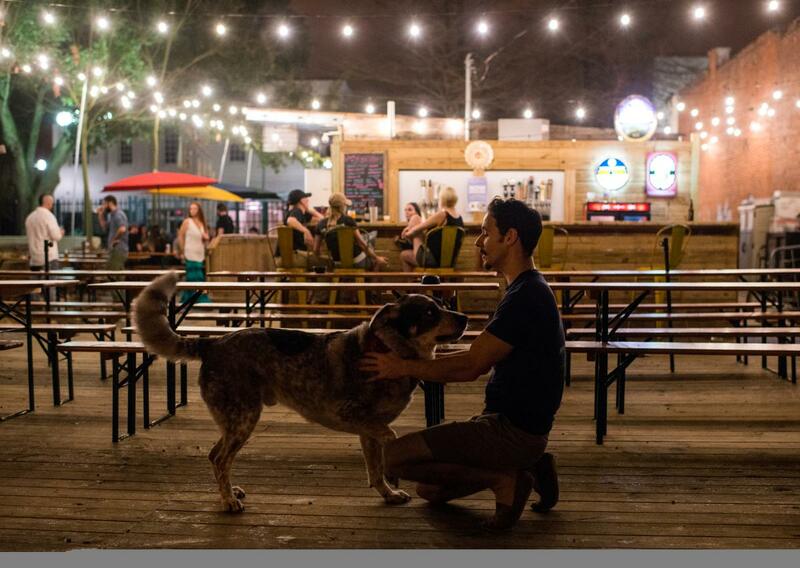 They are dog-friendly, hosting periodic events where patrons bring their canine companions. Families are also welcome, and Josh says many of his patrons enjoy the fact that they can come and have a beer outside and bring the kids, almost like a catered picnic outing.